February Records is proud to partner with Indische Partij Records of Jakarta, Indonesia, to release the latest single, “Singles,” from Protocol Afro. Protocol Afro plays anthemic, danceable, alternative pop music. The band is made up of Ditto (vocals), Giano (guitar), Panji (guitar), Mayo (bass), Ferdi (synthesizer) and Kristian (drums). Critics and music bloggers have compared Protocol Afro to The Smiths, Arctic Monkeys, Bloc Party and Phoenix, among others. Protocol Afro’s first break was when their first two recorded songs, “Maling” and “Radio,” were played by local radio (Trax FM Jakarta) and overseas Internet radio (Traxx Radio Brisbane, Australia) in 2010. “Radio” made to the No. 1 spot on Trax FM Jakarta’s Independent chart, was included in Trax Magazine’s indie music compilation, Traxound, and highlighted by French online music media, IndieRockMag.com. 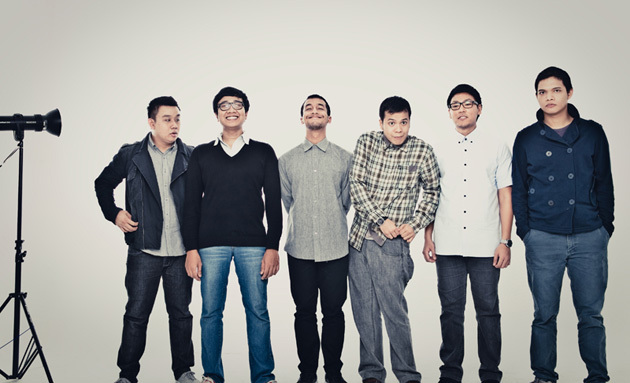 In 2011, the band achieved several milestones, such as releasing their first EP, “Protocol Afro EP,” with the band’s third single, “Music (Dance With Me).” Protocol Afro were also invited to perform overseas for the first time, at Baybeats Festival, Singapore’s international indie music festival. To close the year, Protocol Afro was given the chance to perform on national TV on 811 Show Metro TV. In April 2012, NYLON magazine Indonesia named Protocol Afro as one of their 10 Local Music Heroes. Currently, Protocol Afro is in the process of writing & recording their debut album, due to be released some time in late 2012.